When life gets hectic, it’s time to make a plan to keep everything organized. I’ve been looking at planners for a few weeks, trying to find one that suits my needs, but the prices were out of my price range. I don’t have room in my budget for a $50 planner that doesn’t even have the exact inserts that I am looking for. Personally, I would like a calendar along side a weekly planner and to-do lists, plus specific tracking tools for blogging. I found a used 6 ring planner that holds 5.5″ x 8.5″ sheets to make this happen, took out all the existing sheets and started from scratch. If you want to make a similar planner for yourself, I’ve included the files that I created. 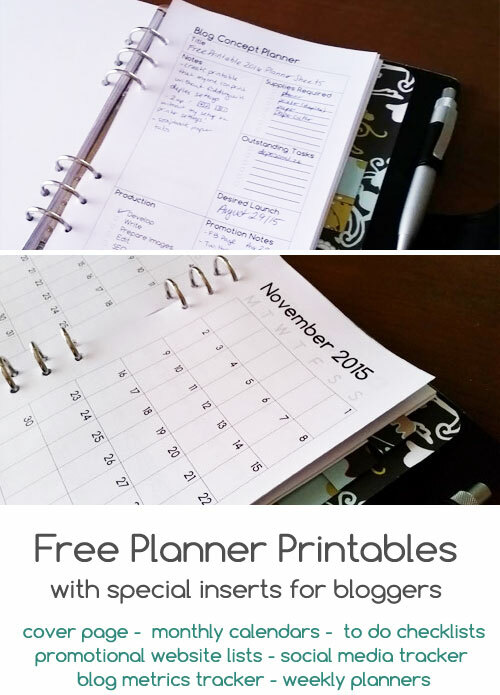 Feel free to use these planner sheets in your own personal organizer. Please do not offer these downloads on your own blog. If you use them, please comment and let me know! If there’s interest in these sheets, I’ll create another set for next year. I would really appreciate it if you shared this blog post on your social media or blog if they are helpful! These planner sheets were created using Microsoft Word 2007 and can be printed on standard 8.5″ x 11″ paper. The files use the font Comfortaa. If you don’t have this font, you can download Comfortaa here on DaFont. Alternatively, you can change the font to one of your choice using Word, but please note, it may adjust your page sizes, so be careful. Before printing, make sure you make changes to your cover page or any of the inspirational quotes. Take care that when making changes that you don’t shift anything off into the next page as you may have unexpected results. The printables are designed for DUPLEX printing, with two pages appearing per side of paper. This means that when you print these, you will have two pages on the front of a piece of paper and two pages on the back. I’ve created the documents so when you print it, it should automatically print your pages in 4,2,3,1 order without you having to rearrange the pages. Every printer has slightly different options listed, but you will need to find an option to change your printer settings to print as Duplex or 2-Sided. You do not need to adjust the multiple pages per sheet options on your printer because the documents have that embedded already; leave it as Normal or 1 Page Per Sheet. If you printer doesn’t have a built-in duplex function, follow the directions for your individual printer to print double-sided. 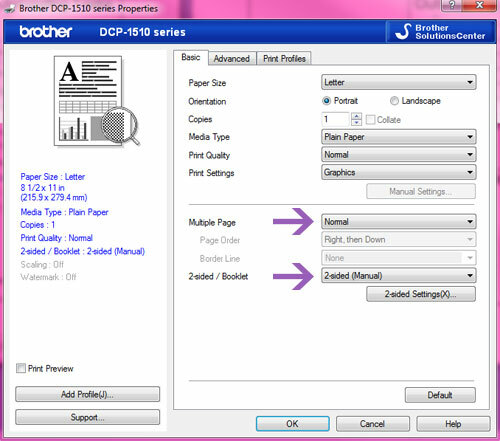 For my printer, the Brother DCP-1510 Laser Printer, I simply take the paper out of the output tray, then put them back in just as I had taken them out into the input tray and the printer takes care of the rest. You’ll notice that after printing that the margins are set so that there is more gutter in the middle of the page, leaving space for the hole punches. 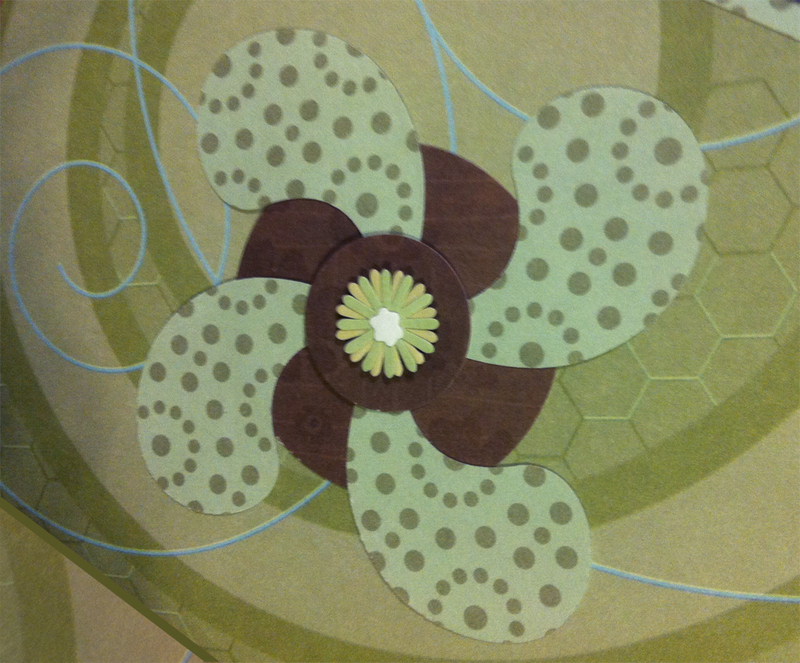 Simply use a paper cutter to cut exactly down the middle of your pages. 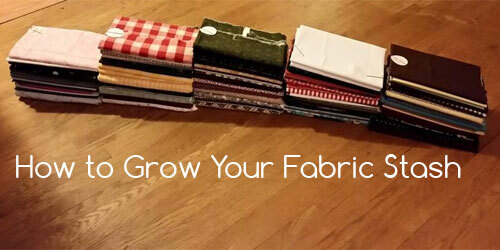 After cutting in half, rearrange your sheets into the correct order. 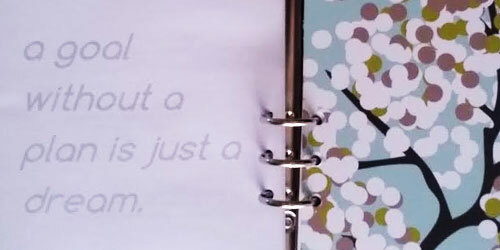 Using an existing sheet from your planner as a guide, hole punch the required holes into your planner sheets. 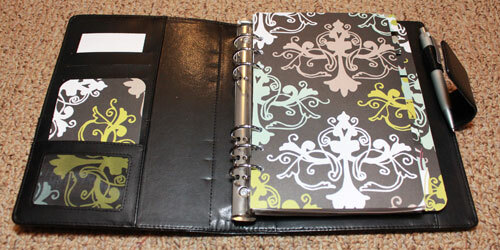 This is essentially the planner I’m currently using to organize my blog here at Craftcore. This set includes a cover page, monthly calendar (September 2015 though December 2016), To Do checklists, Promotional Website organizers, Social Media Tracker (for Facebook, Twitter, and Pinterest), and Blog Metrics Tracker. If you combine this with the Weekly Planning sheets available as a separate download below, you’ve got a planner to help you reach your blogging goals! If you’re not a blogger, all those extras would be useless, so I’ve put together this basic planner. This package includes the cover page, monthly calendar, and To Do checklists. 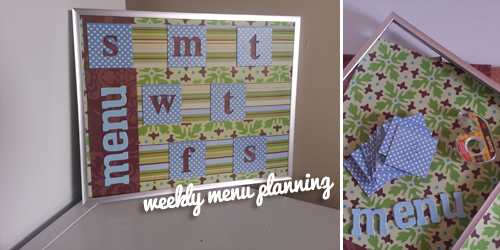 These planning sheet add-ons give you a brief overview of your week, with a rectangular area for each day of the week, Monday through Friday, plus a notes section. There are two different downloads available depending on your needs, one for a year’s worth (52 weeks), one for 1.5 years (78 weeks). These worksheets help me plan out my upcoming blog posts. It outlines the main ideas behind the blog post, what supplies are necessary to build it out (if applicable), what blockers are standing in the way of completing the post, and when the ideal time to launch the post would be. There is a checklist to show the progress of the blog post. My favourite part is the promotion note; I always promote any blog post immediately after posting, but any subsequent promotion can be hard to track. I keep a log here of when the last time I promoted that particular post on a certain social media platform. 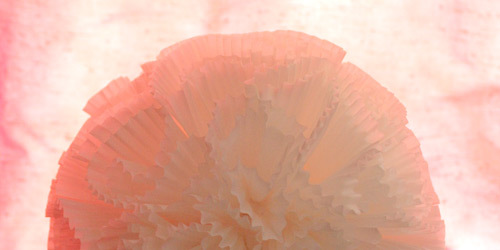 Like them? Confused by them? Leave me a note in the comments below! I am not the best at planning for my blog. I have designed a planner but I haven’t found the format that works the best for me. I downloaded and will see if this might work.